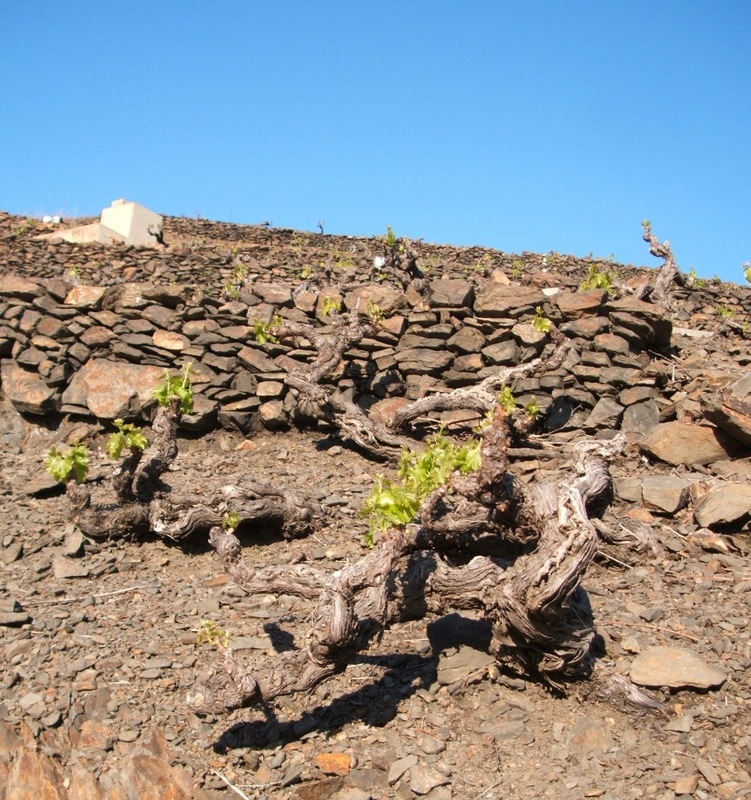 WineWriting.com: Grenache / Garnacha: Australia, France (Roussillon), Spain (Catalonia). 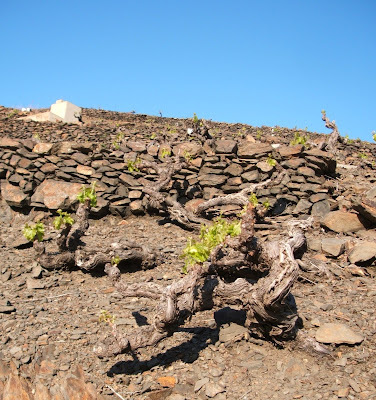 Grenache / Garnacha: Australia, France (Roussillon), Spain (Catalonia). Wine Australia says that Grenache 'was the most widely planted variety,' but the amount of Grenache crushed in Aus in 2012 was sadly one-fifth of the quantity harvested in 1979. Meaning somewhere along the line, Australian winemakers fell out of love with the grape, combined with the drop in demand for traditional fortified 'Port styles' based on the variety, which must have been removed in favour of Shiraz, for example among others, and/or very old vines died and weren't replaced. The Australians also claim they have 'some of the oldest vine varietals in the world, red and white,' - in South Australia essentially where a successful quarantine policy has kept out the vine-destroying phylloxera louse, including some cherished Grenache in the McLaren Vale for instance. And Barossa is the 'only wine area where old vine has a legal definition,' which was ratified in a 2009 charter. Hence Barossa Old Vine means 35+ years, Survivor Vine 70+, Centenarian Vine 100+ and Ancestor Vine an incredible 125+ years old. Elsewhere in the so-called 'New World', the term 'heritage vines' seems to have existed in Sonoma, California for old vine Zinfandel reds for some time. The Aussie Grenache selection (pure and blends) praised below was tasted at recent events in Belfast and Dublin mostly, hence the mix of Sterling and Euro recommended retail prices. Rockford Moppa Springs 2013 Barossa Valley Grenache/Mataro/Shiraz (60/25/15) - This was a very dry vintage apparently. Sunny and rich with kirsch and 'tar' tones, punchy and firm mouth-feel with nice spice and weight, wilder earthier savoury characters on the finish. Expensive though @ £30.99 Negociants. Mataró is a port in Catalonia, Spain that gave its name to Mourvèdre/Monastrell in certain export destinations. Thistledown Vagabond 2015 McLaren Vale Grenache - This is sourced from senior-citizen vines (80 years of age and counting) in a single vineyard (Blue Springs), and half of the Grenache was whole-bunch fermented. Lovely sweet Grenache nose, cherry liquorice and pepper, rustic and ripe palate with quite soft yet punchy finish. Good. £19.95 Alliance Wines. John Duval Plexus 2014 Barossa Valley Shiraz Grenache Mourvèdre - Okay so this blend is only almost one third Grenache (with a majority of Shiraz and 20% Mourvèdre), but I like the contrast of oomph vs softness combined with distinct characters of all three varieties: minty black cherry, liquorice and black olive (really!). €36.99 Liberty Wines Ireland. Yalumba The Strapper 2014 Barossa Grenache Shiraz Mourvèdre (13.5% abv) - Another successful GSM mix (despite the macho name) giving enticing sweet fruit and soft palate with spicy kirsch notes. Negociants €22.99. D'Arenberg The Derelict Vineyard 2013 McLaren Vale Grenache (14.2% abv) - Attractive sweet cherry fruit with wilder edges, light bitter twist on the palate with power and concentration. Febvre Wines €29. Grant Burge The Holy Trinity 2012 Barossa Grenache Shiraz Mourvèdre (14% abv) - This nod to Chateauneuf-du-Pape (the packaging isn't subtle with it either) also contains "a splash of Touriga," I was told (the Portuguese variety), and is indeed a delicious southern Rhone Valley style blend, offering peppery punch and concentrated ripe fruit. Fine Wine Partners £29.99. Grant Burge '20 Year Old Tawny' Barossa Grenache Mataro Shiraz NV (19.5% abv) - '...' marks perhaps required to avoid being sued by Port people, this is however a very tasty fortified 'Tawny' style, rich and treacly with complex matured characters, powerful but not too punchy. Fine Wine Partners £39.99. Willunga 100 McLaren Vale 2015 Grenache (14.5% abv) - Structured mouth-feel layered with lively spicy berry fruit. Liberty Ireland €19.99. Willunga 100 The Hundred Blewitt Springs McLaren Vale 2015 Grenache (14.5% abv) - Quite silky and soft with ripe cherry fruit, powerful and concentrated yet balanced; lovely wine. Liberty Ireland €27.99. McPherson La Vue 2017 Victoria Grenache Rosé (13.5% abv) - Lively and juicy with big fruity mouth-feel, tasty Oz rosé. Lanchester Wines €17.95. Willunga 100 McLaren Vale 2016 Grenache Rosé (14% abv) - Big fruity off-dry style with rich yeast-lees edges, impressive mouthful! Liberty Ireland €19.99. Garnacha / Grenache is the third largest planted grape variety in both Spain and France (facts stolen off the internet somewhere, probably Wikipedia who stole it from someone else). In Spain, much of it is found in the northeastern corner between, and along, the Med coast and the Pyrenees (Garnacha is thought to have originated in Aragon). In France, it is grown right across the Mediterranean south and up into the southern Rhone Valley. In the Roussillon (or 'Eastern Pyrenees' or 'French Catalonia' if you like), there are around 6000 hectares of Grenache noir (the 'black' variety as the French say) planted, still making it the number one grape vine there although this position is now static or has slowly declined over the years; plus around 1200 ha of the 'white' versions (Grenache blanc and gris). There are many delicious reds and recommendable producers centred on Grenache worth talking about in this region, but it seemed like a good idea, for some reason or other, to narrow the focus on the relatively new Maury Sec appellation in the northern Roussillon for this feature. With seven vintages under their belts - Maury sec, the dry red version made in the same area as their more famous sweet fortified wines, came into being from vintage 2011 - winemakers here are showing us what exciting things are being made from old-vine Grenache noir: the 'regulatory' minimum amount is at least 60% in the blend. There's (will be...) much more about this in my forthcoming (eventually) book on the Roussillon. Prices quoted are cellar door in France by the way. Coume Marie 2014 - Has a similar varietal mix undergoing longer barrel ageing: serious, concentrated and structured red needing some time in bottle to open up. Terres Nouvelles 2014 - A higher proportion of old-vine Carignan supplementing the Grenache noir and matured for two years in large old casks: also tightly structured and another good example of what we should be seeing more of from the Maury sec appellation. 2014 Légende - Powerful, peppery yet well-balanced showing lovely Grenache fruit (80% mixed with 20% Carignan from the northern side of Cabirou planted in 1949). 2015 Alt. 433m - From La Croix d’En Rodrigues, the estate’s highest site, 'a field blend of old-vine Grenache and Lladoner Pelut on granite,' which is more aromatic with fine tannins. 2015 Vers le Nord - Apart from this block’s obvious north-facing nature, it comes from a two-hectare parcel called La Devèze, ‘old-vine black Grenache and Syrah (about 8%) at 160 metres on schist soils with sandstone, blueish limestone and clay.’ This delicious red really lets the pure spicy Grenache fruit and some kind of intense untamed French Mediterranean character shine through (wild herbs, menthol, violet, cassis...). 2015 Voyage en Météore - Another relatively new, pure and elegant Maury Sec block-selection that doesn’t go anywhere near a barrel, built mostly on Grenache with Carignan (and other ‘endemic varieties’ whatever that means) from “the coolest shaded spot,” according to winemaker Nicolas, "where red sandstone meets chalky schist." Domaine Pouderoux 2014 Montpin - Sourced from 'the highest blocks of black schist,' since the inaugural 2011 vintage showing lovely Grenache (80% plus Carignan) style, peppery and intense with savoury yet dark kirsch fruit, also fairly soft and elegant. Château Saint-Roch (Domaine Lafage) 2014 Kerbuccio - More structured and savoury than their Cotes du Roussillon Villages wines, needing a little longer in bottle to develop. Mas de la Devèze 2015 - Shaped by two-thirds Grenache picked from marl and schist soils on the western side of the estate, and aged 12 months in barrel (some of them new): quite toasty when young, powerful and structured with lovely kirsch fruit. There are many good wines shaped from Grenache or rather Garnacha from this part of Spain (for the time-being...) - the variety is spelt Garnatxa in Catalan by the way - but here are just two tasty examples bought and enjoyed within the last few months. Jordi Miró 2016 Garnacha Blanca, Terra Alta (13.5% abv) - There is a white variety variant of Grenache (there's 15% Macabeu blended with it too), and this attractive example also comes from the high ground in the Terra Alta region neighbouring Priorat: zesty and aromatic with yeast-lees and exotic fruit tones, quite full-bodied and textured mouth-feel. M&S £9.50 (£7.50 on offer at the time).